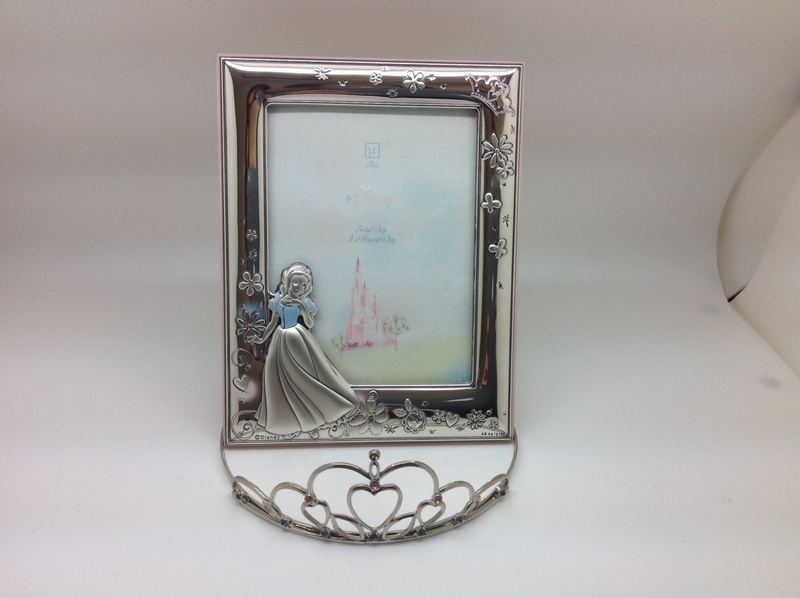 Silver photo frame and wood COLOR pale pink. DRAWING DISNEY PRINCESS WITH CROWN FOR GIFT SET. THE frame measures: 13 cm. wide by 17 tall, for photo of 9 cm. wide by 12 of high. For the Princess of the House.